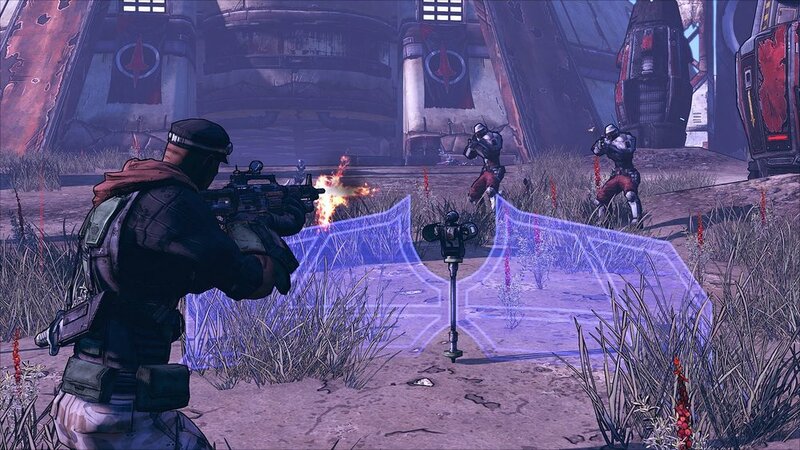 It is not uncommon for games to get remasters these days, it is an easy way for a developer to give their game another chance at life, so the reveal of Borderlands coming to current platforms is not surprising, the short turn around between announcement and release though was. But does that shorter turn around mean things are good or bad? 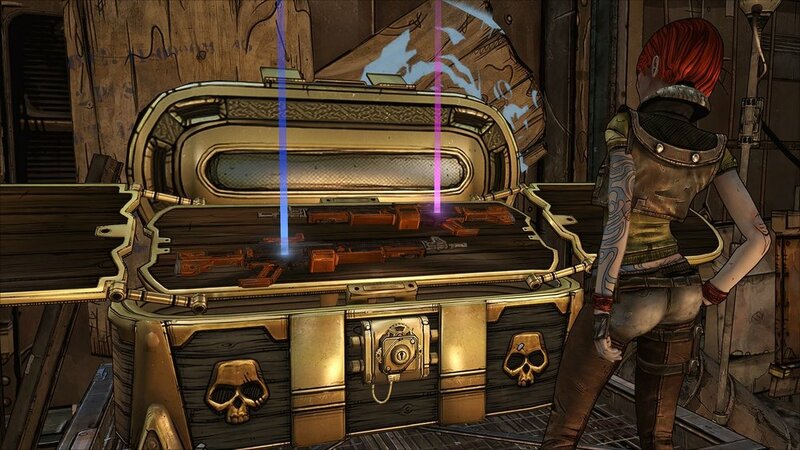 If you have played Borderlands, or any of them really, the story is pretty similar, you are a Vault Hunter, someone who is going to discover a large vault, hidden somewhere on the alien world of Pandora and open it. While the main adventure follows a fairly straight path, it is the journey here that is vastly more important, discovering new locations and characters, whilst undertaking some incredible missions. Anyone who played Borderlands in its original console release, will be happy to know that you can import your character from that version of the game and import it to the new one, letting you continue your adventures there. Of course, as a remaster, there are a host of improvements to the game, across the board, but far and away are the visuals, they look amazing, at least most of the time. The games unique art style makes it instantly recognisable to any gamer and while the game looked fine it its original form, thanks to the cel shaded look, the way that the game looks nice is just incredible. The colours, while still a little bland, thanks to Pandora being a mostly desert planet, are vibrant and when you enter darker locations, mines, hideouts and such, they are easier to navigate thanks to the clearer colours. The opening location of Firestone and its surrounding parts are still bland across the board, but again that layer of flair that comes from the visuals, help to make it fun to run around again. Not everything is perfect, the game, somehow, still manages to have that same problem that the original release had and that all other versions since have had, the game will load, but then take a few extra moments to apply the cel shading. The effect, each time it happens, pulls you from the game, unlike nothing else it does, because it is not that the effect fades in, but you get a few moments of no giant black lines, only for them to pop in, there is not even a fade, its just not there one second and there the next. When it comes to gameplay though, there are a few minor changes that vastly improve the gaming experience across the board, though the inclusion of a mini map ranks up there as the best. But it is not just a map that makes the cut, smaller things that most players will not even notice are present, for example, now if ammo or cash is lying on the ground, having been dropped by the enemy you just destroyed, you no longer need to walk up and pick up each part individually, you just have to walk over it. Items that you find within chests, letterboxes and toilets though, still require manual effort to collect, which is ok, as nobody wants teleporting items from a toilet, but there have been other improvements. Now in your bag, you can define items as Junk or lock them down so they cant be sold in error, very helpful for when you have a host of guns that you don’t need and don’t want to spend ages selling them. The biggest addition though, is a large shiny and very golden chest, which is always filled with some form of random and yet incredible weapon, if you have the right key to unlock it. 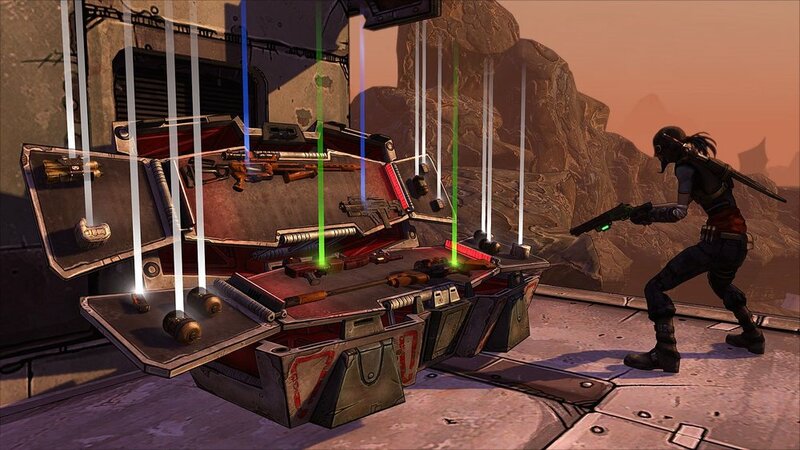 The Golden Keys system that was introduced in Borderlands 2, makes its appearance here and while it is not something you have to worry about, if you desire not to, unlocking that chest is always rewarding. Keys are earned like in past games, out in the real world, redeem a code and earn some keys, but you only have a finite amount, if you don’t like what the chest provides, you are out of luck. As I mentioned before, the games visuals are crazy good now, when they load right, but there is one small changes to the characters, you can now change up how they look, more than selecting a new pallet of colour for them. Those who have played The Pre-Sequel or 2, will understand the appeal of making your character the best them, that you can and now with a range of preset head designs you can do that. For everything that the game does very well, there are many things that don’t work right, the few most common issues I encountered was some quests not recognising that I had achieved milestones, such as reaching a destination or picking up a set item. Another was that the enemy AI was bonkers at times, with enemies running right at me, even though there were dangers between me and them, the worst though would be them getting stuck on items from it. Sadly though, the worst was when the game would spawn enemies that were just too high a level for me and yes, I understand that the game will do that from time to time, having two badass spawn at the first room of the first main bosses lair, is not cool, even worse when they followed me back to the start room, so each time they killed me, I respawned right next to them. Quitting the game and reloading back in, had the game load up some basic enemies, but that issue appeared more times than I would have thought likely and it was quite annoying. 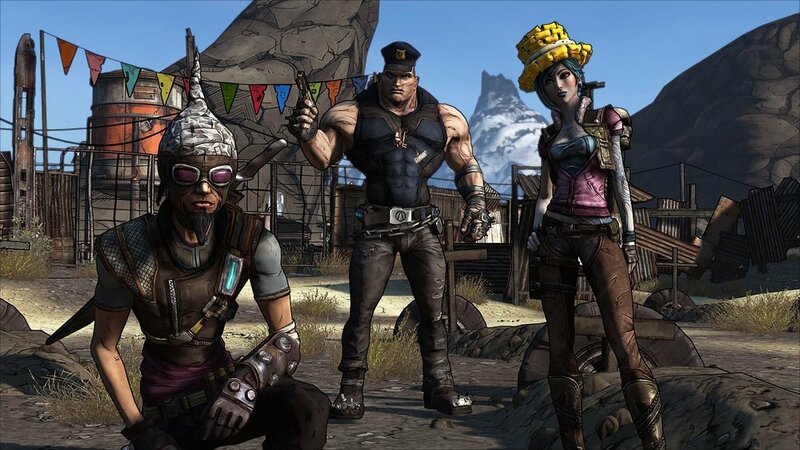 Borderlands GOTY is a hard game to suggest, if you are like me and sunk dozens upon dozens of hours into the original release, bringing across an old character is fine, but the game does not offer any reason to do that. Likewise, with starting fresh, you get to experience everything again, including levelling up on Skags, but the missions and characters have not seen any changes, unlike other parts of the game. 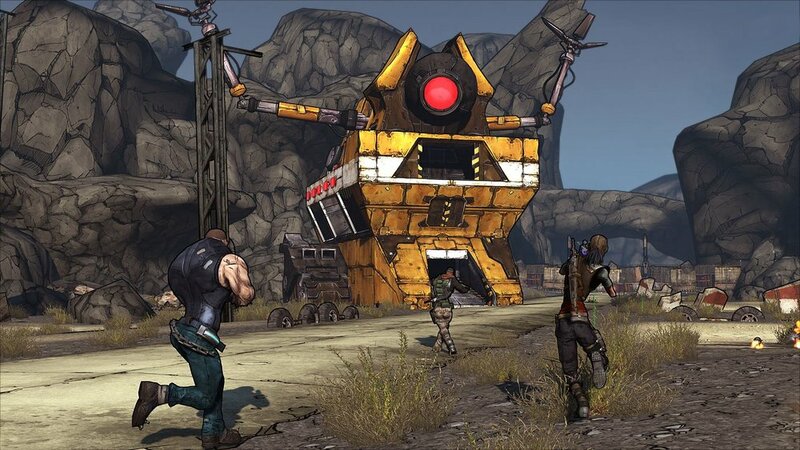 This is really the ultimate version of the original Borderlands, but with two other game that improved upon the formula, already available and the next one out soon, stepping back to the first game, might be a bit much to ask, that being said, if you do, you will have a great time as the gameplay is still as fun as ever.